Fresher wine, or just a pretty face? I’m not sure which of the following two myths is more ridiculous: the myth that you can re-cork a half-drunk bottle of wine and keep it around for a week and have it “still be good,” or the mutually exclusive, but equally misguided, myth that you can keep wine from going bad with commercial “wine preserver” devices. The media is largely responsible for both of these myths—the first because of ignorance, and the second, perhaps, because of advertorial content and the power of suggestion. Myth 1. You can re-cork wine and keep it around. I’m usually a fan of Consumer Reports, but their wine coverage has long been weak, and they got it embarrassingly wrong (and did the wine world a disservice) when they suggested that re-corking a partly consumed bottle of wine and keeping it in the fridge for a week was just fine (the piece has since been removed from their website—I don’t know why—but it’s reposted by a commenter here). It’s a chemical fact that wine, when trapped in a bottle with a significant quantity of air above it, reacts quickly with the oxygen, and the wine’s sensory properties change in a matter of hours. The size of the effect depends on the proportion of wine to air in the bottle (if only a glass’s worth of wine has been poured out of the bottle, the reaction is slower; if there’s only a glass left in the bottle, the reaction is faster). I am generally a contrarian with respect to people’s (even critics’) abilities to identify the characteristics of wine in blind tastings, but the difference between a newly opened wine and the same wine after a week is a really easy one for most people to pick up. It’s an ability that most wine critics—suggestible or not—really do have. If Consumer Reports’ critics don’t have that ability, then they need to get some new critics. Myth 2. You can buy a device that stops wine from going bad. There are several commercial devices on the market that claim to mitigate the effects of oxygen on wine in a partially consumed bottle, and they have been written about in numerous advertorial pieces in the media. The devices fall into two basic categories: systems for pumping out oxygen (e.g. Vacu Vin , Houdini, V-Gauge) and systems for pumping in inert gas (e.g. Private Preserve, Preservino, or the top-of-the-line Vino Vault). I haven’t done a blind, scientific study of the effectiveness of any of these devices, but anecdotally, none of them seems to me to have more than a minor, incremental effect. 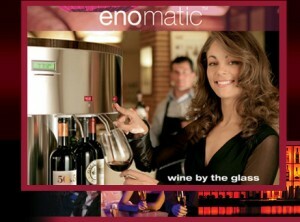 Larger-scale devices, which use some combination of the above two methods, are used in certain wine bars—Enomatic, for instance—and seem intuitively to have a better chance of working well, albeit with side effects (a shoe-polish smell, for instance, that many people notice in Enomatic pours). But where’s the experimental evidence? I’ve never seen a scientific test, controlled against placebos, indicating that any of these devices is effective. Why does the industry take for granted that these $10,000 machines are actually keeping the wine from changing? The good news is that you don’t have to wait to find out if any of these gadgets work, because the best solution is almost free. The solution: you pour the unused portion of the wine, as soon as possible after opening the bottle, into one (or more) smaller containers, and close it (or them) up as quickly as possible with very little oxygen inside the bottle. This can be done after you’ve had the wine open for a bit, but it’s best done immediately after opening. You can transfer wine into a 375mL split (half-bottle), a 187mL half-split (usually used for Champagne or sparkling wine), or even a plastic water bottle. The size of the smaller bottle doesn’t matter; what matters is (1) to match the size of the second, smaller container to the amount of leftover wine you plan to keep; (2) to fill the splits to the absolute top before corking (or screw-topping) them, leaving as little air-space as possible between the wine and the wall(s) of the container, and thus minimizing the oxygen contact; and (3) to do this as soon as possible after you open the main bottle. If you’re not sure how much you want to drink, but you know that you want to drink at least half a bottle, then dump out half the bottle into two 187-mL half-splits. If you wind up wanting to drink three-quarters of the bottle, just pop back open one of the splits. The other one might well be good for weeks. What’s the proof that this method works? The wineries do it themselves—not exactly, but the functional equivalent—during so-called “racking” and wine transfer. That is, there are several times during the winemaking and aging process, both before and after the wine is bottled, when wine is typically moved from one container to another, and fully exposed to oxygen at some point in between. Wine is transferred from one set of barrels to another, or from one set of bottles to another. Wineries sometimes change out the corks on older bottles. Do these things ruin the wines? No. It’s all a matter of degree. 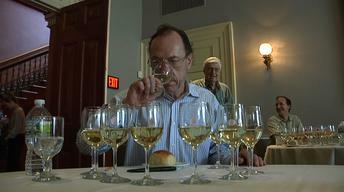 Not only is it okay (it’s actually beneficial for aging) that corks and barrels naturally let in tiny amounts of oxygen over time, wine can even survive full frontal exposure to oxygen for a little while—here and there, the less the better—as long as it’s promptly re-enclosed in a container where the amount of air is minimized. That’s the point being missed by all these devices: why try to pump in so much nitrogen or argon, or pump out so much air, when the problem could be solved merely by changing the shape of the container? This is the solution employed by box wines, which is why they keep for so long. So, as it turns out, there is a magic device that helps leftover wine keep, and it’s cheaper than anything else: a little empty bottle. The solution is so simple, yet as is so often the case, the media throws out many convoluted suggestions—most of which are directly or indirectly connected to money-making ploys—to confuse us. As you imply toward the end, the real solution here is wine boxes. It’s absurd that the wine industry packages its product such that customers can’t easily consume the amount they want. Wine drinkers should reward wineries that off the box option (by purchasing their products) and encourage others to do so. This may be a bit on the geeky side, but what about dropping a small piece of dry ice into the bottle? As the solid CO2 sublimates and changes into a gas, it will fill up the bottle and displace the oxygen, since CO2 is more dense than O2. You would want to wait until the ice is fully transformed into gas before recorking, of course. CO2 is less reactive than O2, which would help prevent those bad flavors. Would potentially freezing a small portion of the wine effect the taste? First time commenter here. Anyways, I serendipitously stumbled across a product which fulfills the exact need this post addresses! I’ve owned a vacu-vin for years and really do find it satisfactory. I wouldn’t find it satisfactory having a jumble of different bottles or boxes to keep control of, so prefer to keep in the original bottle. And as you say, it is a matter of degree – many wines do improve with some exposure to air, so if I drink half the bottle and vacuum out most of the remaining air, sure, the wine will taste a little different to a skilled palate, but it tastes just fine to me. I find vacu-vin doesn’t work if you try and keep something for a long time (+1wk) as the vacuum gradually fails. Adding marbles to the bottle to force out the air also works. Why would transferring the wine from a larger bottle to a smaller bottle be any functionally different than using one of the vacuum devices? It seems to me that you’re removing the contact with air in both cases. As to the gauges that fail over time, I have tried the “V Gauge” which has a dial on the top which supposedly shows the vacuum strength. I’ve seen it hold the same level for up to 5 days. I don’t think I’ve tried it longer than that. 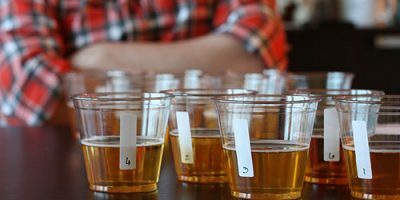 What the opinion on the wine preservation techniques chosen depends on the “quality” of the wine? The vacumn systems don’t work, the sparge systems don’t work. The gas systems DO work. Why? Because the wine bottle isn’t left open and isn’t exposed to oxygen. Open it and leave it open -changes the quality no matter what -that might be a good thing. Proven technology over 25+ years old. By the way, they use inert gas when racking at the winery. Not so much of a myth anymore, eh? great blog on preservation systems… it continues to be a much talked about area. You’ve all missed out the World leader! I have a restaurant in the UK and I use Le Verre de Vin…. it is absolutely brilliant! J Smith, let me tell you it definately does work! and my wine by the glass list of 165 is proof of that. It automatically takes out exactly the right amount of air in the bottle, creating a precise vacuum. It doesn;t stop there bcause it also reseals my Champagnes. The second nozzle inserts a head pressure of C02 into the empty part of the bottle which hold in the wines fizz! both stills and sparklings are resealed for three weeks! It’s a chemical fact that wine, when trapped in a bottle with a significant quantity of air above it, reacts quickly with the oxygen, and the wine’s sensory properties change in a matter of hours. I visited my son and family one day and he brought out a bottle of wine, I had a few glasses. None of them drink, so I was the only one drinking. About six months later my son offered me a glass of wine. He knows I like a wee tipple. It was only lateron, I noticed it was from the same bottle he had given me 6 months before.